Crowns (or caps as they are also known) are cemented over a single existing foundation tooth. They are used to replace a filling when there isn’t enough tooth remaining, to protect a weak tooth from fracturing, to restore a fractured tooth, attach a bridge, cover a dental implant, cover a discoloured or poorly-shaped tooth, or cover a tooth that has had root canal treatment. Bridges are used to replace one or more missing teeth. They span the space where the teeth are missing and are cemented to the natural teeth or implants surrounding the empty space by way of crowns for the teeth either side. Apart from restoring a smile, bridges can aid speech and bite, maintain face shape, distribute forces in the bite correctly and prevent remaining teeth from drifting out of position. 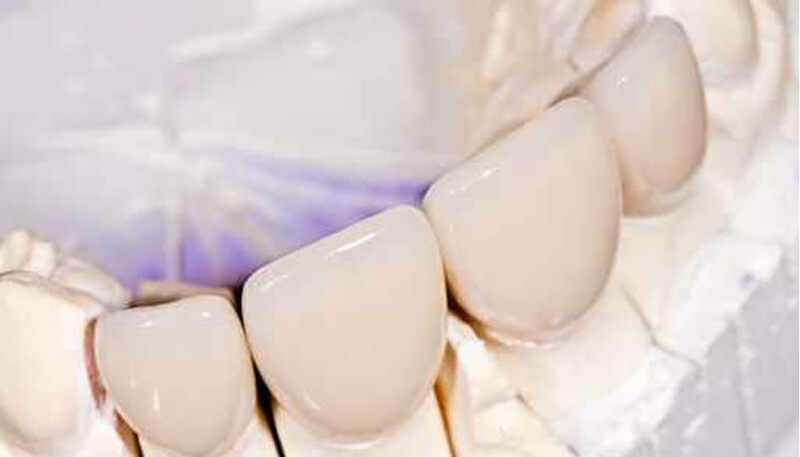 Crowns and bridges are constructed from porcelain or ceramics to match the colour of natural teeth. We welcome new patients, so if you are not in the habit of having regular check-ups contact us now or book an appointment online today.